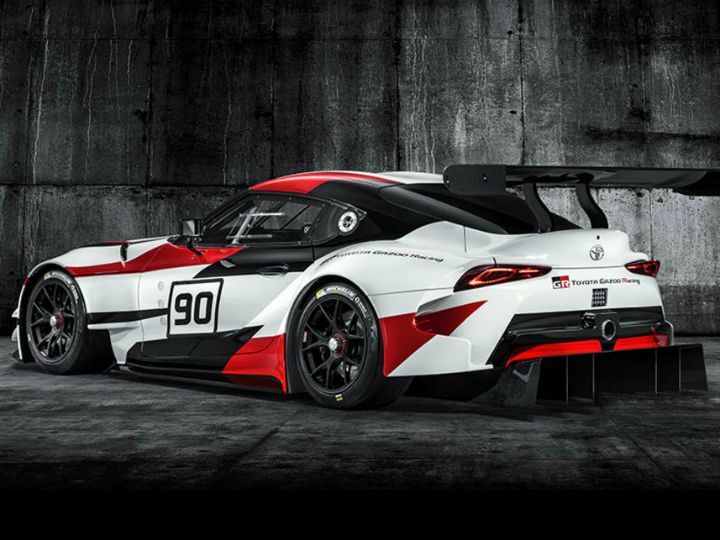 Toyota Unveils GR Supra Racing Concept: Geneva Motor Show 2018. Toyota has always been a firm believer in the philosophy that motorsports spawn better road cars and we have always nodded our heads in approval. Now, we are happy to report that the Japanese carmaker maker has stuck to its philosophy and has unveiled the GR Supra Racing concept at the Geneva Motor Show 2018. The new concept will form the basis of a car that marks the return of one of the most iconic nameplates from Toyota in history. If you still need a hint, then you aren’t a true enthusiast, or maybe just too young. The car we are referring to is the Supra! If you are interested in a history lesson about the Supra, you can find it here. The GR Supra Racing concept follows the same front-engine, rear-wheel-drive layout as the original and makes use of ‘advanced’ lightweight materials. Plus, the big ‘90’ on the doors are a reference to the model code of the upcoming sports car. In it’s forty year history, the Supra has sported the A40, A50, A60, A70 and A80 model codes. The concept is developed by Gazoo Racing, something that is evident in the name itself (GR). 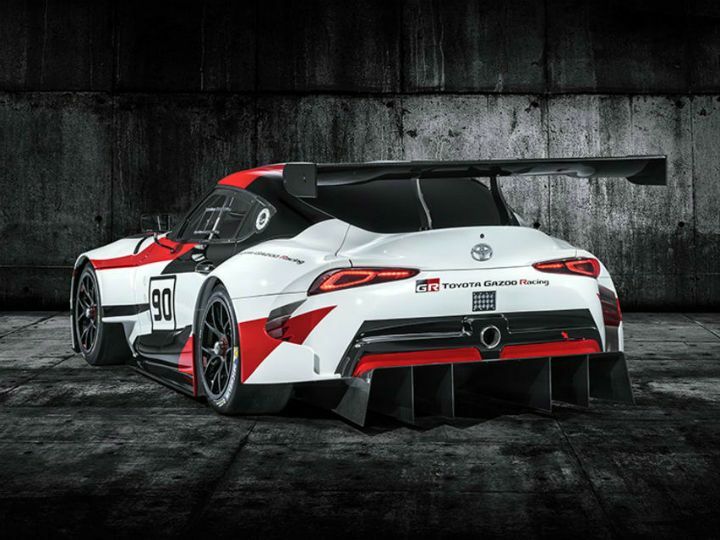 Gazoo Racing is to Toyota what M Sport and AMG are to BMW and Mercedes. 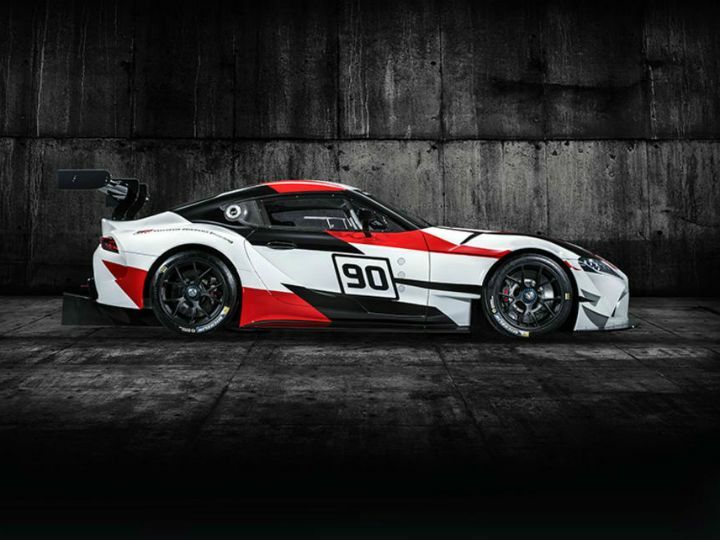 The road-going version of the Supra too will be developed by Gazoo Racing and when debuted, it will be in its fifth generation. The carmaker has remained tightlipped about the specifications of the car but it appears that Toyota will be sticking to its roots with this one. Like the old Supra, we can expect a 3.0-litre twin-turbo engine to power the fifth-gen car, but a marriage with hybrid technology cannot be ruled out either. Plus, expect innovations from Toyota’s experience in endurance racing to trickle down to the two-door coupe too. As for the aesthetics, the GR Supra Racing does look like an evolution of the original long bonnet design but also echoes design elements of the FT-1 concept showcased back in 2014 at the Tokyo Motor Show like the front nose, headlamp design and the rising tailgate that doubles up as a spoiler. Apart from that, it looks like a proper racing car. It hugs the ground and sits low on lowered racing suspension and BBS racing wheels which also house Brembo race-spec brakes. It stands 4574mm long, 2048mm wide (with the bodykit) 1230mm high and has a premium sedan rivaling wheelbase of 2470mm. There is also extensive use of carbon-fibre and, of course, this being a racing car, there is a plethora of aero aids like fins, flaps, splitters and diffusers along with a massive rear wing. 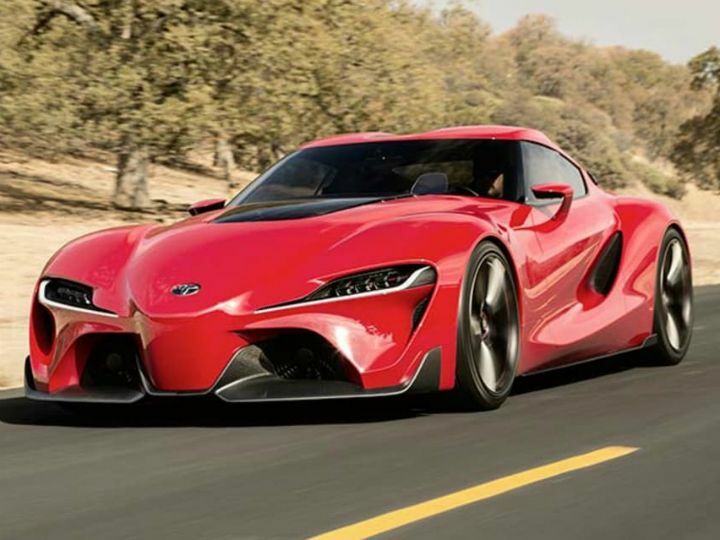 But it will not be launched as a racing car and if you can imagine it in your mind’s eye, strip away all the high-performance bodywork, the massive wings and the colourful livery and the GR Supra starts to look like a true successor to the Supra name.